2017 Prudential Award | Back to Basics Learning Dynamics, Inc.
Local Honorees are selected at participating schools and organizations in November. From these winners, an independent judging organization names the top middle level and high school volunteer in each state and Washington, D.C. Results are announced in early February. Then, 10 National Honorees are chosen by a panel of prominent public figures, and announced at a special ceremony in Washington, D.C., in May. submits a completed application to a school principal or the head of an officially designated local organization by November 8. Students chosen as Local Honorees receive a Certificate of Achievement from their schools or organizations. Those who qualify (26 hours for age 10 and younger, 50 hours for ages 11-15 and 100 hours for older students) also receive the President’s Volunteer Service Award. 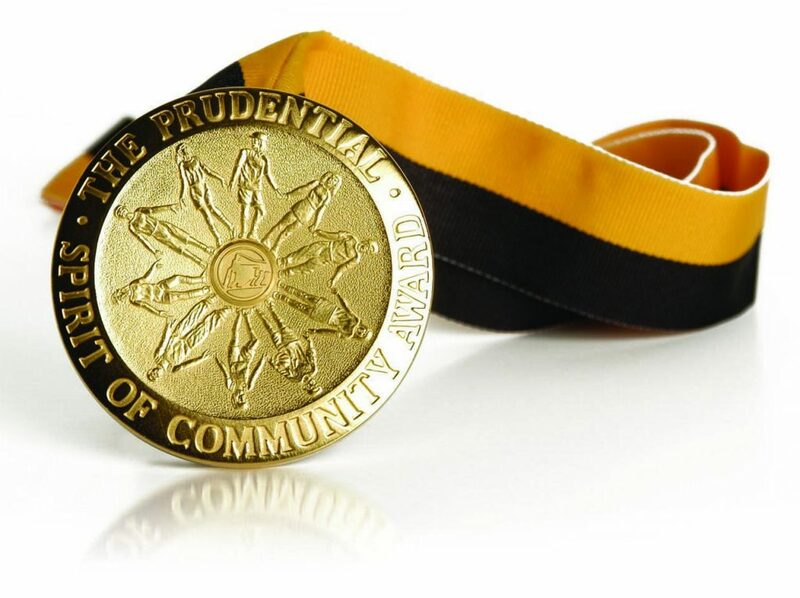 National Honorees receive an additional award of $5,000, an engraved gold medallion, a crystal trophy for their schools or organizations, and a $5,000 grant from The Prudential Foundation for a non-profit, charitable organization of their choice.